Author and analyst Jim Rickards joins us to discuss Fed policy, the gold price and the possibility of renewed war on the Korean Peninsula. 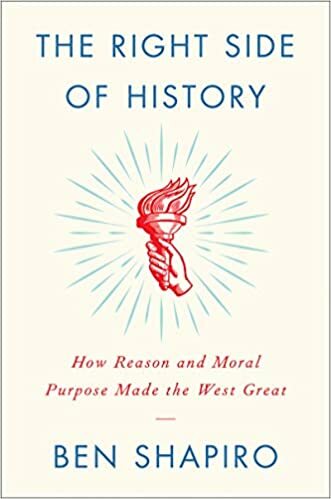 We recently had our quarterly advisory board discussion with special guest Ben Hunt, author of Epsilon Theory, a newsletter and website that examines markets through the lenses of game theory and history. What we talked about during the call: How Quantitative Tightening will actually be inflationary, rather than deflationary. How narratives, not reality, drive markets. 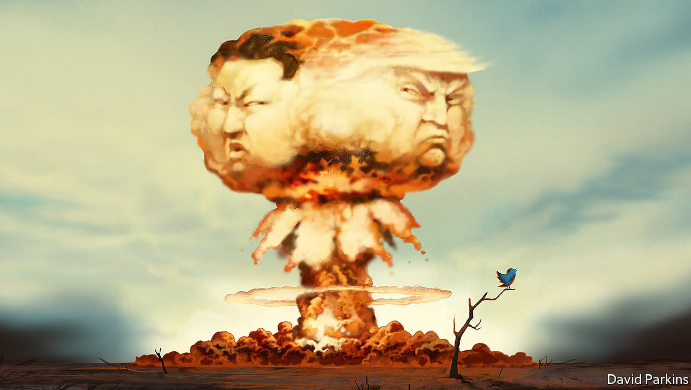 Why the US might go to war with North Korea in Q1 2018. How and when de-dollarization will happen. 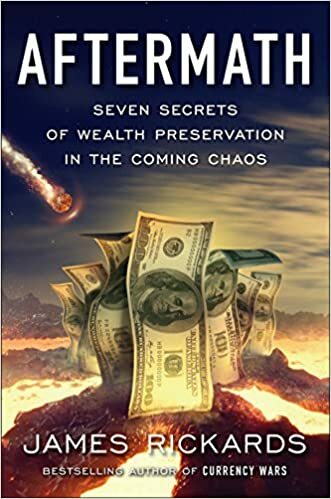 ABC Bullion's Chief Economist Jordan Eliseo was fortunate enough to interview Jim Rickards, one of the world’s leading precious metal analysts and author of New York Times Bestsellers including the Death of Money, and Currency Wars. Jim shared his views on a variety of topics, including the performance of gold in 2017, US Monetary Policy, developments in Catalonia, the outlook in China, the potential for military conflict in Korea, and gold price drivers between now and the end of 2018. China is a relatively open economy; therefore it is subject to the impossible trinity. China has also been attempting to do the impossible in recent years with predictable results. Beginning in 2008 China pegged its exchange rate to the U.S. dollar. China also had an open capital account to allow the free exchange of yuan for dollars, and China preferred an independent monetary policy. The problem is that the Impossible Trinity says you can’t have all three. This model has been validated several times since 2008 as China has stumbled through a series of currency and monetary reversals. For example, China’s attempted the impossible beginning in 2008 with a peg to the dollar around 6.80. This ended abruptly in June 2010 when China broke the currency peg and allowed it to rise from 6.82 to 6.05 by January 2014 — a 10% appreciation. This exchange rate revaluation was partly in response to bitter complaints by U.S. Treasury Secretary Geithner about China’s “currency manipulation” through an artificially low peg to the dollar in the 2008 – 2010 period. Only now there was a new figure to point the finger at China. The new American critic was no longer the quiet Tim Geithner, but the bombastic Donald Trump. Trump had threatened to label China a currency manipulator throughout his campaign from June 2015 to Election Day on November 8, 2016. Once Trump was elected, China engaged in a policy of currency war appeasement. China actually propped up its currency with a soft peg. The trading range was especially tight in the first half of 2017, right around 6.85. In contrast to the 2008 – 2010 peg, China avoided the impossible trinity this time by partially closing the capital account and by raising rates alongside the Fed, thereby abandoning its independent monetary policy. This was also in contrast to China’s behavior when it first faced the failure of its efforts to beat impossible trinity. In 2015, China dodged the impossible trinity not by closing the capital account, but by breaking the currency peg. In August 2015, China engineered a sudden shock devaluation of the yuan. The dollar gained 3% against the yuan in two days as China devalued. U.S. stocks fell 11% in a few weeks. There was a real threat of global financial contagion and a full-blown liquidity crisis. A crisis was averted by Fed jawboning, and a decision to put off the “liftoff” in U.S. interest rates from September 2015 to the following December. China conducted another devaluation from November to December 2015. This time China did not execute a sneak attack, but did the devaluation in baby steps. This was stealth devaluation. The results were just as disastrous as the prior August. U.S. stocks fell 11% from January 1, 2016 to February 10. 2016. Again, a greater crisis was averted only by a Fed decision to delay planned U.S. interest rate hikes in March and June 2016. The impact these two prior devaluations had on the exchange rate is shown in the chart below. Major moves in the dollar/yuan cross exchange rate (USD/CNY) have had powerful impacts on global markets. The August 2015 surprise yuan devaluation sent U.S. stocks reeling. Another slower devaluation did the same in early 2016. 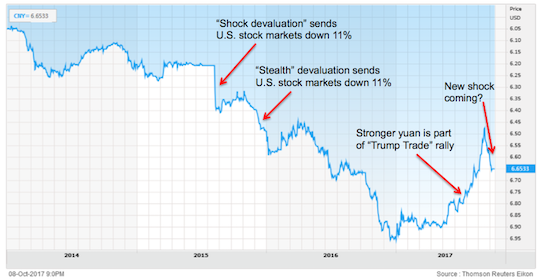 A stronger yuan in 2017 coincided with the Trump stock rally. A new devaluation is now underway and U.S. stocks may suffer again. By mid-2017, the Trump administration was once again complaining about Chinese currency manipulation. This was partly in response to China’s failure to assist the United States in dealing with North Korea’s nuclear weapons development and missile testing programs. For its part, China did not want a trade or currency war with the U.S. in advance of the National Congress of the Communist Party of China, which begins on October 18. President Xi Jinping was playing a delicate internal political game and did not want to rock the boat in international relations. China appeased the U.S. again by allowing the exchange rate to climb from 6.90 to 6.45 in the summer of 2017. China escaped the impossible trinity in 2015 by devaluing their currency. China escaped the impossible trinity again in 2017 using a hat trick of partially closing the capital account, raising interest rates, and allowing the yuan to appreciate against the dollar thereby breaking the exchange rate peg. The problem for China is that these solutions are all non-sustainable. China cannot keep the capital account closed without damaging badly needed capital inflows. Who will invest in China if you can’t get your money out? China also cannot maintain high interest rates because the interest costs will bankrupt insolvent state owned enterprises and lead to an increase in unemployment, which is socially destabilizing. China cannot maintain a strong yuan because that damages exports, hurts export-related jobs, and causes deflation to be imported through lower import prices. An artificially inflated currency also drains the foreign exchange reserves needed to maintain the peg. Since the impossible trinity really is impossible in the long-run, and since China’s current solutions are non-sustainable, what can China do to solve its policy trilemma? The most obvious course, and the one likely to be implemented, is a maxi-devaluation of the yuan to around the 7.95 level or lower. This would stop capital outflows because those outflows are driven by devaluation fears. Once the devaluation happens, there is no longer any urgency about getting money out of China. In fact, new money should start to flow in to take advantage of much lower local currency prices. There are early signs that this policy of devaluation is already being put into place. The yuan has dropped sharply in the past month from 6.45 to 6.62. This resembles the stealth devaluation of late 2015, but is somewhat more aggressive. The geopolitical situation is also ripe for a Chinese devaluation policy. Once the National Party Congress is over in late October, President Xi will have secured his political ambitions and will no longer find it necessary to avoid rocking the boat. China has clearly failed to have much impact on North Korea’s nuclear weapons ambitions. As war between North Korea and the U.S. draws closer, neither China nor the U.S. will have as much incentive to cooperate with each other on bilateral trade and currency issues. Both Trump and Xi are readying a “gloves off” approach to a trade war and renewed currency war. A maxi-devaluation of the yuan is Xi’s most potent weapon. Finally, China’s internal contradictions are catching up with it. China has to confront an insolvent banking system, a real estate bubble, and a $1 trillion wealth management product Ponzi scheme that is starting to fall apart. A much weaker yuan would give China some policy space in terms of using its reserves to paper over some of these problems. Less dramatic devaluations of the yuan led to U.S. stock market crashes. What does a new maxi-devaluation portend for U.S. stocks? We might have an answer soon enough. President Trump is expected to nominate the next Federal Reserve chair within a matter of days. As I’ve explained before, Donald Trump has the opportunity to appoint a higher percentage of the Board of Governors of the Federal Reserve system at one time than any president since Woodrow Wilson. President Wilson signed the Federal Reserve Act during the creation of the Fed in 1913 when they had a vacant board. At that time, the law said the secretary of the Treasury and the comptroller of the currency were automatically on the Fed’s board of governors. But besides that, President Wilson selected all of the other participating members. Due to vacancies he inherited and key resignations, Trump now has the opportunity to fill more seats on the Fed’s Board of Governors than any president since then. To review, the Federal Reserve’s Board of Governors is made up of seven appointees. That means that they can make a majority decision with four votes. If you’re reading about the Fed, you might also see reference to “regional reserve bank presidents.” These are roles within the Federal Reserve System, but the real power is found on seven-member Board of Governors. Trump will own the Fed. During the campaign season, Trump called China and other nations currency manipulators. That signaled he believed the dollar was too strong and wanted it to weaken. But then the North Korean nuclear crisis rose to the fore. Trump backed off his threats against China because China has the most economic influence over North Korea, and Trump wanted China to use that leverage to convince the North to back off its nuclear program. But China didn’t deliver as Trump had hoped, and a trade war with China is now likely. That’s especially true now. 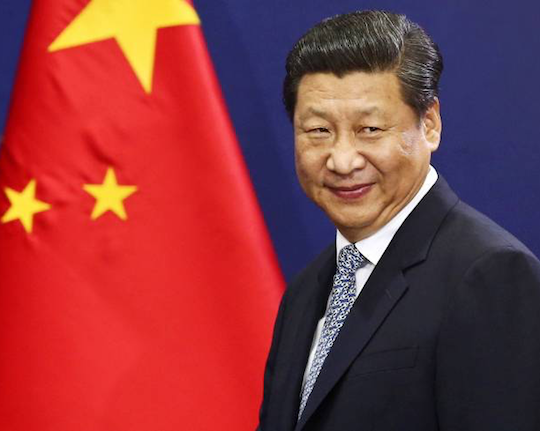 Chinese president Xi Jinping has solidified his hold on power after the Chinese Politburo re-appointed him yesterday. Xi had avoided rocking the boat in recent months while his position was uncertain. But now that his lock on power is secure, Xi can afford to be much more confrontational with Trump. Trump’s trade policy has led many to believe that Trump will appoint a lot of “doves” to the Board. But don’t be surprised if Trump goes with a hard-money board. In fact, that’s what I expect. These will be hard-money, strong-dollar people, contrary to a lot of expectations. Trump advisers include hard-money advocates like Dr. Judy Shelton, David Malpass, Steve Moore and Larry Kudlow. I expect Trump to heed their advice. Janet Yellen’s term as chair is up at the end of January — just over three months from now. Whoever President Trump appoints to replace her will be subject to Senate confirmation. Because that process takes time, that means the president has to name Yellen’s successor around November or December. And again, he’s expected to make that announcement by Nov. 3, before he heads to China. Powell’s main qualification seems to be that he’s just like Yellen except he’s a Republican. So, if we combine their votes, that a 68% chance that policy will continue unchanged, which means more rate hikes ahead. The next in line is John Taylor, who is considered the most hawkish of the group. If we add his votes to the Powell + Yellen pool, that an 85% probability that policy will either be the same or tighter. No relief for gold in the Fed sweepstakes. Now, as I’ve been saying for months, my money’s on Kevin Warsh. Warsh is the likely next chair of the Fed. Warsh has previously served on the board. After being nominated by President George W. Bush he was a Fed governor where he served from 2006 until he resigned early in 2011. Kevin Warsh is a pragmatist, not an ideologue like Yellen. He’s not beholden to obsolete Fed models like Phillips curve that says low unemployment means higher inflation. Warsh understands that disinflation is a serious problem for a country with a 105% debt-to-GDP ratio, like the U.S.
Warsh and the pragmatists understand that inflation is needed for the U.S. to have any hope of getting the debt problem under control. Warsh believed that the Federal Reserve should have raised interest rates a long time ago. But with disinflation a much more pressing concern than inflation right now, being a pragmatist means he won’t commit to tightening if conditions don’t warrant it. We’ll see how this all plays out probably late this week or early next before Trump leaves for China. But it’s important to realize that institutions boil down to people. And there’s going to be a lot of turnover at the Fed under Trump. It’s not just limited to his choice of Fed chair. Yes, Yellen will likely be out. But so are Fed officials that align with her, like Vice President Stanley Fischer, who announced his resignation in September. As I indicated, the new, emerging Fed will have less faith in traditional models. For example, in September, Fed governor Lael Brainard delivered one of the most significant Fed speeches ever. Translating from Fed-speak to plain English, she more or less admitted the Fed has no idea how inflation works. Brainard pointed out that the Fed began its current monetary policy tightening cycle in the belief that tight labor markets implied inflation was coming with a lag. The Fed raised rates in December 2015, December 2016, March 2017 and June 2017 in part to get out ahead of this coming inflation. The Fed’s favorite measure of inflation plunged from 1.9% to 1.3% between January and August 2017 even as job creation continued and the unemployment rate fell. In other words, the relationship between tight labor markets and inflation turned out to be the exact opposite of what the Fed believed. Their models are in ruins. Of course, this is what I’ve been telling my readers to expect all year. The Fed was tightening into weakness, not strength, and would soon have to flip back to ease in order to avoid an outright U.S. recession. And ease is exactly what Brainard called for in her speech. In the meantime, a lot of uncertainty over the Fed’s direction will hover over the market, as if there wasn’t enough uncertainty in the market already. The next Fed head will have a lot on his (or her) plate. The biggest winner will be gold. The time to enter your gold position, if you don’t already have one, is now. 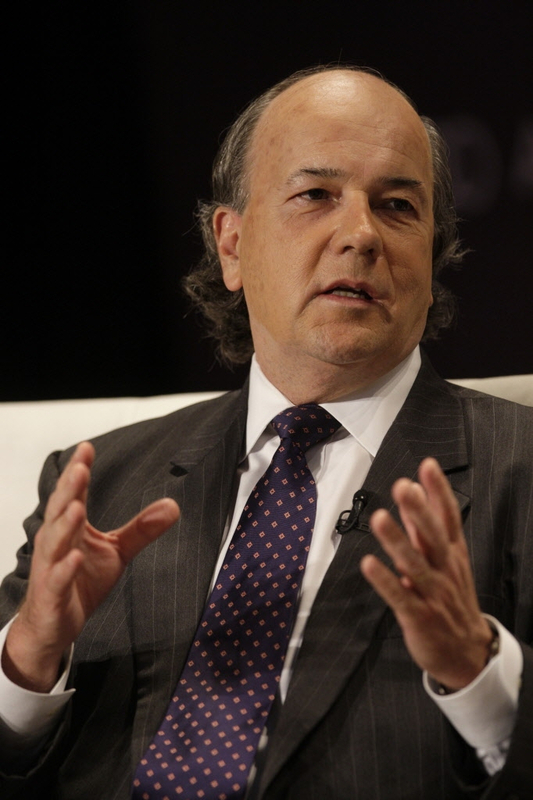 Jim Rickards: Is Bitcoin a Ponzi Scheme? JPMorgan CEO Jamie Dimon recently called bitcoin a “fraud” that “won’t end well.” The cryptocurrency is up 800% in the past year. So bitcoin investors can have a good laugh at Mr. Dimon’s expense, for now. Important questions and skepticism remain. Among the cryptocurrency's big skeptics is currency guru and bestselling author Jim Rickards. 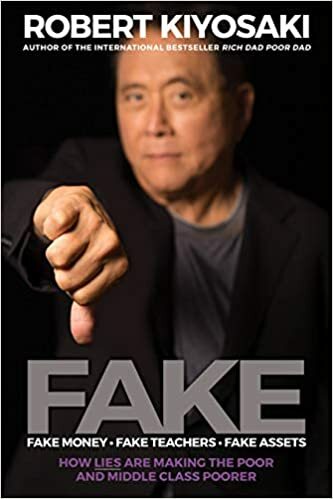 He sat down to discuss this (and much more) during a new "Real Conversation" with Hedgeye CEO Keith McCullough. While bitcoin has its fervent supporters, Rickards says the cryptocurrency invented in 2009 still has too much to prove, and is involved in too many shady transactions to be taken seriously. He cites things like drug dealing, arms dealing, money laundering and tax evasion, as well as "worse things that I don't want to even mention, more reprehensible than that. Rickards and McCullough both say they have both been accused of being "technophobic" because of their distaste for bitcoin. Rickards says that couldn’t be further from the truth.“A lot of my private equity investments are very forward-leaning in technology. I embrace technology. But I know a lot about markets. A lot of the tech groupies who love bitcoin know a lot about tech, but not so much about the markets.”Until proven otherwise, Rickards says investors should stay away.“For the market as a whole, for wealth managers, for people trying to preserve wealth, for investors, this is no place to be,” Rickards says. Market crashes often happen not when everyone is worried about them, but when no one is worried about them. Complacency and overconfidence are good leading indicators of an overvalued market set for a correction or worse. 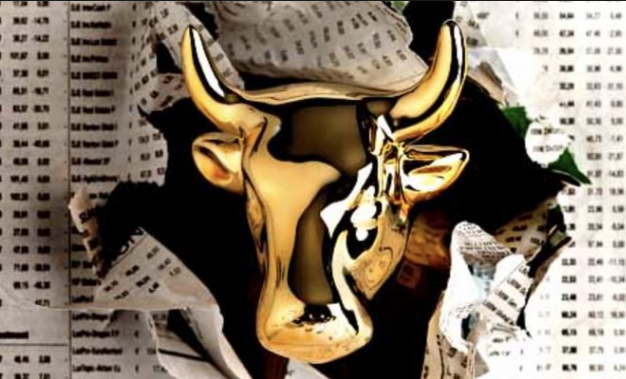 Prominent magazine covers are notorious for declaring a boundless bull market right at the top just before a crash or correction. October 19 saw the thirtieth anniversary of the greatest one-day percentage stock market crash in U.S. history — a 22% fall on October 19, 1987. In today’s Dow points, a 22% decline would equal a one-day drop of over 5,000 points! I remember October 19, 1987 well. I was chief credit officer of a major government bond dealer. We didn’t have the internet back then, but we did have trading screens with live quotes. I couldn’t believe what I was watching at first, but by 2:00 in the afternoon we were all glued to our screens. It was like being a passenger on a plane that was crashing, but you had no way out of the plane. Our firm was fine (bonds rallied as stocks crashed), but we were concerned about counterparties going bankrupt and not being able to pay us on our winning bets in bonds. What’s troubling is that a lot of commentators said that the kind of crash that took place in 1987 couldn’t happen today and that markets were much safer. It’s true that circuit breakers and market closures could temporarily halt a slide better than we did in 1987. But those devices buy time, they don’t solve the underlying fear and panic that causes market crashes. The problem with a market meltdown in today’s even more deeply interconnected markets, is that once it strikes, it’s difficult to contain. It can spread rapidly. Likewise, there’s no guarantee that a stock market meltdown will be contained to stocks. Panic can quickly spread to bonds, emerging markets, and currencies in a general liquidity crisis as happened in 2008. Why should investors be so concerned right now? Yes, sellers of volatility have made steady profits the past year. But the strategy is extremely risky and you could lose all of your profits in a single bad day. Think of this strategy as betting your life’s savings on red at a roulette table. If the wheel comes up red, you double your money. But if you keep playing eventually the wheel will come up black and you’ll lose everything. That’s what it’s like to sell volatility. It feels good for a while, but eventually a black swan appears like the black number on the roulette wheel, and the sellers get wiped out. I focus on the shocks and unexpected events that others don’t see. The chart below shows a 20-year history of volatility spikes. You can observe long periods of relatively low volatility such as 2004 to 2007, and 2013 to mid-2015, but these are inevitably followed by volatility super-spikes. During these super-spikes the sellers of volatility are crushed, sometimes to the point of bankruptcy because they can’t cover their bets. The period from mid-2015 to late 2016 saw some brief volatility spikes associated with the Chinese devaluation (August and December 2015), Brexit (June 23, 2016) and the election of Donald Trump (Nov. 8, 2016). But, none of these spikes reached the super-spike levels of 2008 – 2012. In short, we have been on a volatility holiday. 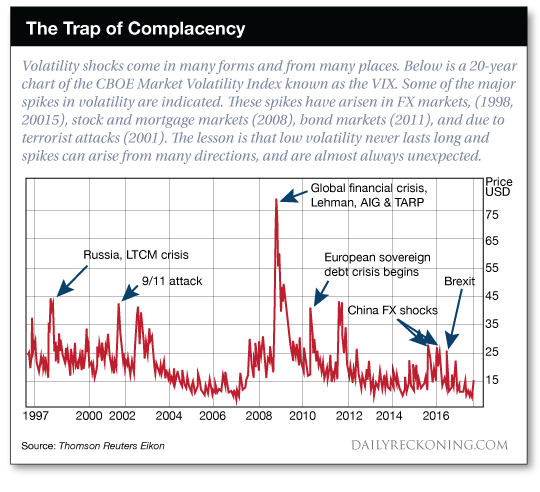 Volatility is historically low and has remained so for an unusually long period of time. The sellers of volatility have been collecting “steady income,” yet this is really just a winning streak at the volatility casino. I expect the wheel of fortune to turn and for luck to run out for the sellers. The North Korean nuclear crisis is simply not going away. In fact, it seems to be getting worse. Intelligence indicates that North Korea successfully tested a hydrogen bomb in September. This is a major development. An atomic weapon has to hit the target to destroy it. A hydrogen bomb just has to come close. This means than North Korea can pose an existential threat to U.S. cities even if its missile guidance systems are not quite perfected. Close is good enough. A hydrogen bomb also gives North Korea the ability to unleash an electromagnetic pulse (EMP). In this scenario, the hydrogen bomb does not even strike the earth; it is detonated near the edge of space. The resulting electromagnetic wave from the release of energy could knock out the entire U.S. power grid. Trump will not allow that to happen, and you can expect a U.S. attack, maybe early next year. Analysts who warn about government shutdowns are often viewed as the boy who cried wolf. We’ve had a few government shutdowns in recent years, most recently in 2013, and two in the 1990s. These were considered true government shutdowns in the sense that Congress did not authorize spending for any agency, and all “non-essential” government employees were put on furlough. (Critical functions such as military, TSA, postal service and air traffic control continue regardless of any shutdown). These shutdowns don’t last long. They are usually for one political party or the other to make its point about spending priorities, and are soon compromised in the form of higher spending and a return to business as usual. The current CR expires on December 8. This time the odds are high that the government actually will shut down. Why should investors be any more concerned about this shutdown than the one in 2013 or the near misses earlier this year? There are several causes for concern. The first is that there is less room for compromise. The White House wants funding for the Wall with Mexico. Many Republican members of Congress want to defund Planned Parenthood. The Democrats will not vote for the Wall or to defund Planned Parenthood, but do want more funding for Obamacare. There is no middle ground on any of these issues so the chance of a long shutdown is quite high. The second reason is that this shutdown comes at a time when the U.S. in facing an increased risk of war with North Korea, and Congress has many other tasks on its plate including tax reform, confirmation of a new Fed Chairman, the “Dreamers” legislation, and more. Political dysfunction in Washington can easily spill over into markets. This time the wolf may be real. In short, the catalysts for a volatility spike are all in place. We could even get a record super-spike in volatility if several of these catalysts converge. The “risk on / risk off” dynamic that has dominated most markets since 2013 is coming to an end. From now on it may just be “risk off” without much relief. The illusion of low volatility, ample liquidity, and ever rising stock prices is over. It has been nine years since the last financial panic so a new one tomorrow should come as no surprise. The safe havens will be the euro, cash, gold and low-debt emerging markets such as Russia. The areas to avoid are U.S. stocks, China, South Korea and heavily indebted emerging markets. It may not look like it now, but it could be a volatile and bumpy ride ahead.